This­April 2018 book by Chris Offutt seems to neat­ly cross two of my prime obses­sions, crime fic­tion and Appalachia. Be sure to pick it up. It's a guar­an­teed good read. His first work of fic­tion in near­ly two decades, (Coun­try Dark is a taut, com­pelling nov­el set in rur­al Ken­tucky from the Kore­an War to 1970. Tuck­er, a young vet­er­an, returns from war to work for a boot­leg­ger. He falls in love and starts a fam­i­ly, and while the Tuck­ers don’t have much, they have the love of their home and each oth­er. But when his fam­i­ly is threat­ened, Tuck­er is pushed into vio­lence, which changes every­thing. The sto­ry of peo­ple liv­ing off the land and by their wits in a back­woods Ken­tucky world of shine-run­ners and labor­ers whose social codes are every bit as nuanced as the British aris­toc­ra­cy, (Coun­try Dark is a nov­el that blends the best of Lar­ry Brown and James M. Cain, with a noose tight­en­ing ever­more around a man who just wants to pro­tect those he loves. 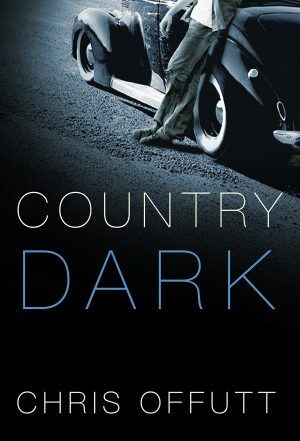 This entry was posted in Uncategorized and tagged appalachian fiction, chris offutt, country dark, crime fiction. Bookmark the permalink.